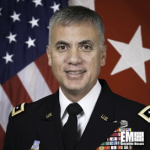 Lt. Gen. Paul Nakasone, the White House’s nominee to head the National Security Agency and the U.S. Cyber Command, has said he plans to prioritize talent recruitment and retention efforts and continue to assess control mechanisms to protect networks from cyber threats once confirmed, DoD News reported Thursday. “My intent is to look to ensure the security of the enterprise and the security of the network initiatives that NSA has undertaken to date are timely, are accurate, are on target to ensure that we continue to have the safeguard of our national treasures,” Nakasone, commander of the Army Cybercom, said Thursday during his Senate confirmation hearing. He cited the significance of public-private partnerships in the advancement and implementation of new technologies that work to address security risks. “If confirmed, I know that a strong public-private partnership will be needed to ensure this country benefits from the leading-edge technology being developed and implemented today and into the future,” Nakasone, a 2018 Wash100 recipient, told the Senate Select Committee on Intelligence.